UPDATE - August 30, 2013: The SPRING/Digital Green collaboration and feasibility study that was launched in November 2012 is progressing well and receiving encouraging initial feedback from stakeholders and local communities. The communities requested additional dissemination of the nutrition videos beyond the self-help groups originally enrolled in the pilot, which almost doubled the reach of the disseminations from 700 to over 1,300 households. The formative research, which kicked off the collaboration, informed the selection of priority nutrition behaviors and the design of a series of two-day nutrition sensitization trainings conducted in February 2013 for the VARRAT video production and dissemination teams, the Anganwadi Workers (AWWs), and the Accredited Social Health Activists (ASHAs) working in the participating villages, with excellent reviews. 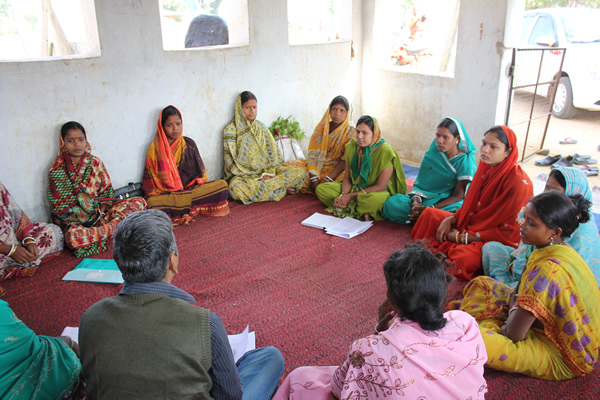 These short, highly-participatory trainings focused on maternal, infant, and young child nutrition (MIYCN) provided a solid skill-based foundation, especially for the VARRAT staff whose previous work focused on the promotion of agricultural practices. They also encouraged a strong collaboration among these three distinct cadre of community agents. The storyboarding and video production for all ten of the videos has been completed, and disseminations have occurred for six videos as of August 2013, including “Handwashing with Soap” and “Maternal Diet during Pregnancy and Food Taboos,” among others. Video disseminations will continue through September 2013. IFPRI has designed the feasibility study protocol and began data collection using a local research firm in August. Preliminary results are expected by the end of the year. The videos (in Odia with English subtitles) will be publically launched on the Digital Green website the first week of September under the SPRING partnership webpage. In addition to the videos, analytics related to the data collected for each video will be available for review, including viewership, intention to adopt or promote practices, verified adoptions or promotion, and questions asked on topics during disseminations. To stay up-to-date on the launch and for other information on the partnership and feasibility study, please visit the Digital Green and SPRING facebook pages. The SPRING/Digital Green feasibility study was officially launched on November 15, 2012 at a ceremony in Keonjhar District in Orissa, with the participation of local officials, partners and other stakeholders. Led by the Strengthening Partnerships, Results and Innovations in Nutrition Globally Project (SPRING), with support from USAID, this study aims to test the adaptation of an innovative “human-mediated digital learning approach” currently being used by Digital Green for the diffusion of improved agricultural practices, for the promotion of high impact maternal, infant and young child nutrition (MIYCN) and hygiene practices. Through the development and dissemination of participatory, community-based videos, SPRING aims to build on the current agricultural extension platform to include evidence-based nutrition content, specifically focused on the first 1000 days ‘window of opportunity’. The International Food Policy Research Group (IFPRI) will design and execute a study of the overall feasibility of this approach for the promotion of nutrition, and will help determine if the approach can be easily adapted and scaled. Under the SPRING/Digital Green model, local teams will produce videos showcasing key behaviors, often celebrating early adopters of important nutrition practices. The videos will be disseminated by trained community agents through self-help groups, predominantly made up of women farmers. Videos will feature local women and other community members, speaking in their own language, about their individual personal experiences with selected high impact nutrition practices. The Digital Green approach uses a “dialogue” or “reflective” process among peers, rather than a traditional nutrition education approach of outside “experts” telling clients what they should do. The early adopters who are the “stars” of these community videos may also be seen as role models or “positive deviants” in their community. In designing and executing the overall project, SPRING is working in partnership with Digital Green and the Voluntary Association for Rural Reconstruction and Appropriate Technology (VARRAT) in thirty villages located in two blocks of Keonjhar District. Save the Children India is playing an advisory role, and providing targeted technical support. This one year collaboration includes the production of 10 context specific nutrition and hygiene-focused videos; and the facilitated dissemination of those videos by the VARRAT community agents using low-cost, battery operated pico video projectors and simple speakers. Nutrition videos will be uploaded to YouTube, and will also be available for viewing on the Digital Green and SPRING websites. They will be periodically transferred to the pico projectors, managed by the community, completely eliminating the need for connection to electricity or internet. Data on participating community members, questions asked by participants, and stated intention to adopt new or change existing behaviors will be collected and organized using the Digital Green metrics system known as “COCO”, connect on line-connect off line. COCO was created to display near real-time analytical dashboards for decision-making and also for prioritizing and focusing the production of subsequent videos. 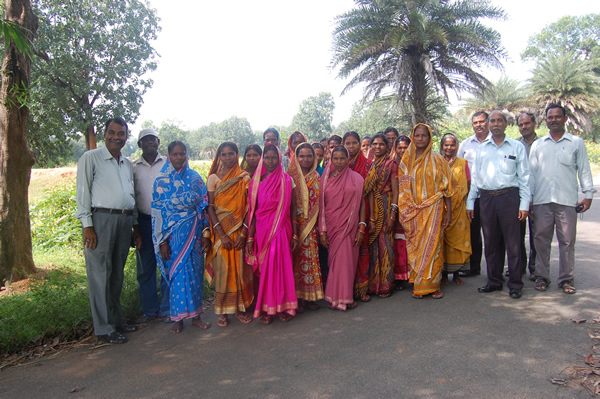 The formative research phase was completed in November 2012, with the execution of twelve focus group discussions, and sixteen in-depth interviews in a subset of six villages. 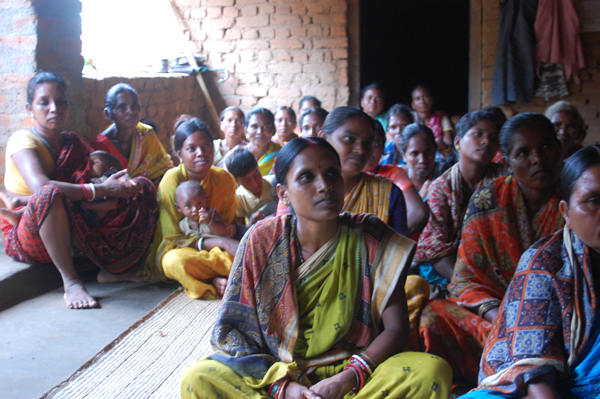 Eight key informant interviews were conducted with health authorities, and village, block and district leaders. The research results informed the development of nutrition training materials for community agents, and will serve to identify specific MIYCN content to be introduced through the Digital Green video dissemination platform. Priority nutrition behaviors investigated in each setting include exclusive breastfeeding during the first six months of life, timely and appropriate complementary feeding starting at six months, diversification of diets, micronutrient supplementation, household gardening, hand washing, safe water, and compound hygiene, among other topics. 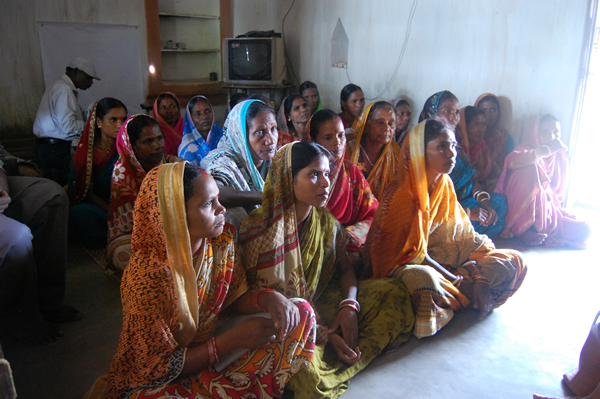 Nutrition sensitization trainings are planned for early January 2013, involving the VARRAT video production and dissemination teams and also the Anganwadi Workers (AWWs) and Accredited Social Health Activists (ASHAs) working in the participating villages. Initial community nutrition video production and dissemination is planned for late January. Results of the feasibility study are anticipated before the end of 2013.